Im Tirtzu calls on Justice Minister Livni to take back nomination of professor who advocated for Arabs protesting Israel's existence. The grassroots Zionist student movement Im Tirtzu on Tuesday called on Justice Minister Tzipi Livni (Hatnua) to rescind the nomination of Prof. Barak Medina to the Supreme Court, after he pressed for the "right" of Arab residents to protest Israel's very existence. Im Tirtzu cited a campaign initiated by Medina for academics to sign an open letter to the University of Haifa President Amos Shapira, pressing him to allow a "Nakba Day" ceremony on May 15 commemorating the "catastrophe" of modern Israel's establishment. Medina's letter condemns "the prohibition against a campus event to commemorate the national tragedy of the Palestinian people in the War of Independence." The letter further noted that one of the activists in the protest against Israel's very being was removed from campus "until the end of the disciplinary proceedings," a move which Medina and his compatriots claimed as being "inconsistent with the fundamental values that underpin academic society and democratic society as a whole." While Medina has claimed he was not among the initiators of the campaign, his name is in fact listed first among the initiators in the letter, and further his e-mail address is given in the mail for those who wish to sign on to reply to. Medina, the former Dean of the Faculty of Law at Hebrew University, is a finalist for a spot on the Supreme Court, something which Im Tirtzu argued can not be allowed. 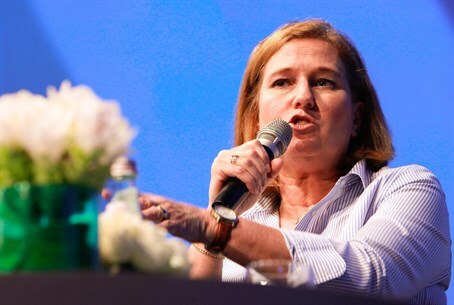 "In recent years, we have seen that Nakba demonstrations have included more and more violence and extremism," noted the organization in a letter to Livni and MKs on the Judicial Appointments Committee. "Across the country, they have used anti-Israel motifs that exclude the right of the Jewish people to have a state and deny Israel the right to exist as a Jewish and democratic state." "Therefore we ask that (you) act to rescind the nomination of Prof. Medina. ...It is inappropriate for a person with such radical views - those that are inconsistent with the character of a Jewish, Zionist and democratic state of Israel - to serve as a judge on the Supreme Court of the State of Israel," concluded the letter. Im Tirtzu's policy head Alon Schvartzer commented "the halls of justice are meant to illuminate the truth. There is no place for a judge who promotes a narrative that denies and rejects the existence of Israel as a Jewish and democratic state." "It would be an unparalleled disaster if Prof. Medina becomes a light of justice in Israel. Any other message, apart from disqualifying Prof. Medina from candidacy, is a justification of the false and distorted Nakba narrative and comes at the expense of our right to the land," concluded Schvartzer.